A new report claims Sterigenics used secret sites to hide potential cancer-causing emissions. The Willowbrook company also may have dumped dangerous chemicals into the sewer system. Sterigenics is a product sterilization company based in Willowbrook, IL. The company reportedly releases high levels of ethylene oxide gas. Ethylene oxide is the chief ingredient used to sterilize medical equipment. According to the Environmental Protection Agency (EPA), it may also cause cancer. 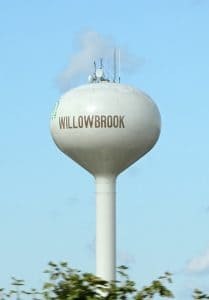 More than 19,000 people live within one mile of the Willowbrook plant, with schools and parks nearby. A recent report by CBS 2 News claims the company knew about the cancer risks from its facilities for years. The station uncovered a letter from the EPA to Griffith Laboratories. (Griffith Laboratories was the former name for Sterigenics.) The company had requested the EPA’s permission to add more sterilization chambers. In its letter, the EPA warned the company that ethylene oxide could cause various forms of cancer. The EPA also said the company was releasing 14 to 445 times the acceptable level of ethylene oxide. Despite these numbers, the EPA allowed the company to expand. The company began building a second warehouse in Willowbrook. Before that facility was ready, though, Sterigenics used three secret sites for “off-gassing.” (Off-gassing is a process in which sterilized products sit in ventilation rooms. There these products air out saturated ethylene oxide for as long as seven days.) Former workers claim these secret facilities were not equipped to handle these vapors. CBS found no record the EPA ever inspected these facilities, all within a mile of Sterigenics. CBS alleges the company’s off-gassing procedures endangered workers and the public. Ventilation room doors remained open, even at official facilities. Keeping these doors open spread ethylene oxide gas throughout the plant. As a solution, the company told workers to open all the overhead doors, releasing the gas outside. Alarm Rigging and Chemical Dumping? Workers informed CBS that Sterigenics also manipulated alarm systems warning of chemical exposure. These measures were an attempt to avoid plant shutdown. According to one employee, though, work would often continue even if the alarms went off. Instead, the company would open plant doors to release the gas, often without filtering it. The CBS report also claims that Sterigenics contaminated the public sewer system. Ethylene glycol is a byproduct of ethylene oxide. (It is also a component in antifreeze.) Workers told CBS that plant supervisors dumped ethylene glycol down public sewer drains. The company reportedly did so in an attempt to avoid the cost of shutting down operations. Sterigenics denies all claims of illegal dumping. The company also says it never off-gassed at other warehouses or rigged safety alarms. The GWC Law Firm has been retained by several parties who have lived or worked near the Sterigenics facility for a number of years and have developed cancers or other serious medical conditions that may be related to their exposure to ethylene oxide gas. Contact GWC Law today if you live or work near Sterigenics and have developed cancer. Call us at (312) 999-9999 or click here to chat with one of our representatives at any time.